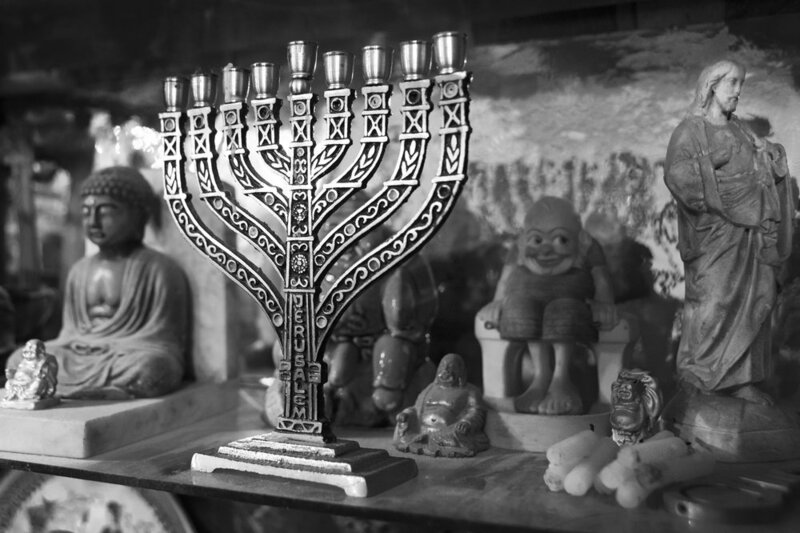 Under the flickering buzz of fluorescent lights, Teodor Koppelmann, President of the Jewish Community Center in Oradea, Romania, sits behind his cluttered desk. Smoke billows upward from the long, thin cigarette he holds loosely between his lips. He exhales, rubbing his fingers on his forehead. The smoke cascades down from his nose and then upward, drifting across his tired eyes as it settles around the lights above. Koppelmann slicks his hair back and secures it with his kippah as he sits back in his chair and sighs. "Where to begin?" he whispers. Gently clearing his throat, Koppelmann begins to tell the story of his people, their history and his hope for their survival. One of the largest in Romania, the grand Zion Neologic Synagogue rises above the quiet Transylvanian city of Oradea, Romania. It has been empty for decades. The city, which dates back to the 10th Century, is situated along the banks of the Crisul Repede River just a few miles from the border with Hungary. Just a few hours from Budapest, Oradea was near the heart of the Austro-Hungarian Empire. Following the end of the First World War, Oradea was part of the Transylvanian territories that officially joined the Kingdom of Romania as part of the dissolution of the empire. The inhabitants of the city have historically been diverse, travelers making their way along trade routes between Europe and the Orient often settled in Oradea. 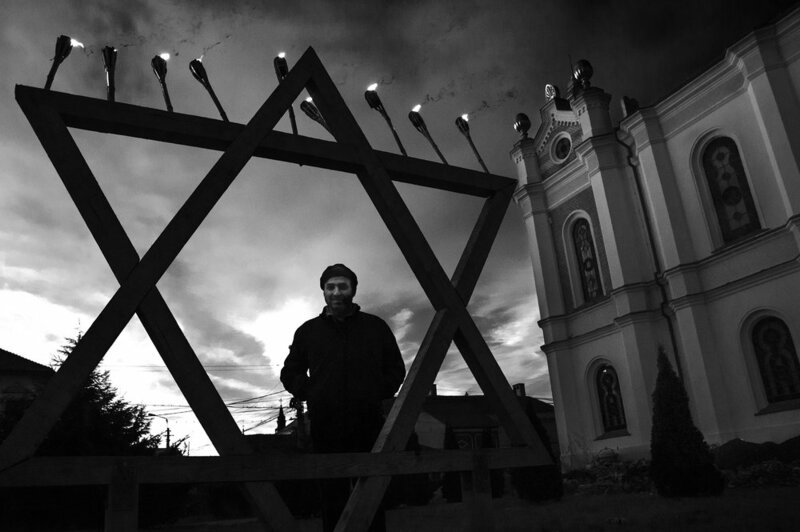 Among them, Jews have been a part of Oradea's history for centuries. Raised in an affluent Orthodox Jewish family in the small central Romanian town of Tarnaveni, Koppelmann grew up under the strict religious practices of his father, Leo, who was also the president of his local Jewish community. During the Second World War, Koppelmann's father, a physician, had been sent by the Romanian authorities to work at a leper colony in Transnistria. Koppelmann had been born at the culmination of one of the greatest genocides in human history. In the years leading up to the Second World War, Oradea’s Jewish community numbered more than thirty thousand, making it a third of the city’s entire population. There were more than twenty active synagogues scattered throughout the city, and influential members of Jewish society helped Oradea earn a reputation for architectural masterpieces, as well as bringing industrial, medical and artistic firsts to the region. The city was booming and life was good. In the late 1930s and early 1940s, however, the world would choose sides in a war started by Germany's rapid invasion and occupation of territories throughout Europe, bringing with its Wehrmacht a fierce nationalism that began to grow in cities across Europe. During the summer of 1940, Hungary would annex Northern Transylvania, a territory it long-viewed as its own. Within months, Hungary joined the "Axis" with hopes to secure German approval for the annexation of the rest of Transylvania. The new anti-Semitic mayor, László Gyapai, now oversaw the methodical destruction of the Jewish way of life in Oradea, which was under Hungarian control. More than thirty thousand Jews would be crowded into the city’s ghetto, the second largest in Hungary. The eight thousand Jews from the surrounding countryside were rounded up and housed in a second ghetto after the first was filled to capacity. All of Oradea's Jews would be stripped of their possessions and deported to either Nazi labor camps across Europe or the death camp, Auschwitz. Romania also had a very significant role in the Holocaust, a fact seldom acknowledged in Romania to this day. Under the military dictatorship of Ion Antonescu, Romania would join the Axis with the hopes of avoiding further Hungarian annexation, as well as guard against a Soviet advance. Anti-Semitism against Jews grew rapidly. 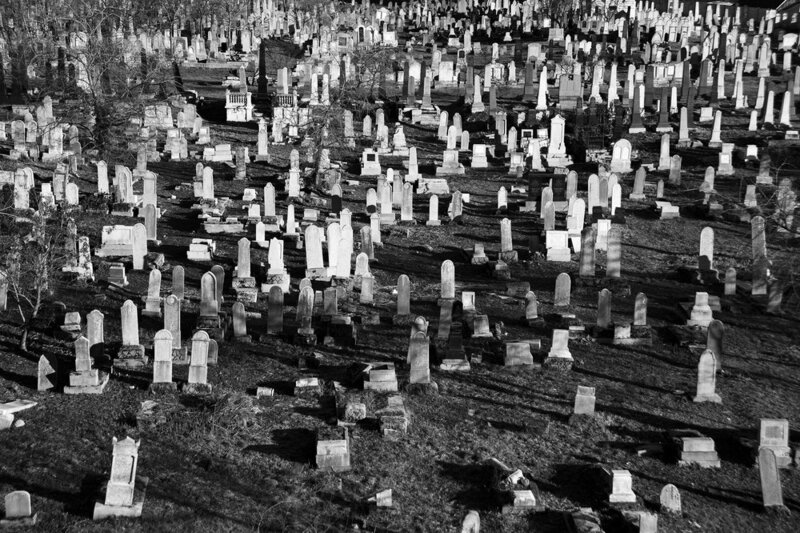 By the end of the Second World War, Romania carried out the murder of nearly 300,000 Jews, higher than the number of Jews killed in Germany, before switching sides as the Allies advanced. The Hungarians, however, had perfected their ruthless treatment of Jews throughout their controlled territories. “I was fifteen when they sent me and my family to Auschwitz Birkenau.” says Gabriela (Hamlet) Bóné. Bóné's father owned a mirror factory in Targu Mures, just a few hours east of Oradea. Unbeknownst to her at the time, Bóné’s life would be spared because of that advice. The Nazis sent the elderly, weak and young directly to the gas chambers. Nearly everyone under the age of sixteen that passed through the gates of Auschwitz did not survive. Bóné was robbed of every possession except her spirit. She and her family were amongst the endless sea of humanity that arrived through the gates of Auschwitz. They were stripped naked, shaved, and ruthlessly beat by the SS guards. “I remember when we arrived, someone said to me, ‘You came in through the door, but you’ll leave through the chimney.” Confused and afraid, Gabriela was briefly comforted by her mother who told her that they were only there to work for the Germans until the war was over, and that life in Auschwitz would surely be better than it was back in the ghetto under the cruel Hungarian Gendarmes (police) who had taken great pleasures in their suffering. Moments later Gabriela was separated from her mother, father, and three younger brothers. She would never see them again. Alone with only her sister, Bóné would endure the Nazi death camp for over a year before being transferred to a light bulb factory in Weisswasser, Germany, which she attributes to her survival. The sisters were later transferred with several hundred other women to another factory as the front drew nearer to German borders. Soon the allies would liberate the women, ending one of the greatest atrocities in human history. For many Jewish survivors, however, the end of the war only meant the beginning of a new life without their families or their communities- a life in which they would have to return to the towns and cities that sent them away to be forgotten. Only a small number of Oradea's Jews survived to return to Oradea. “I remember the soldiers telling me not to go back home after we were liberated,” says Bóné, “but to go to instead to America or Britain where we could go to school and have a future. 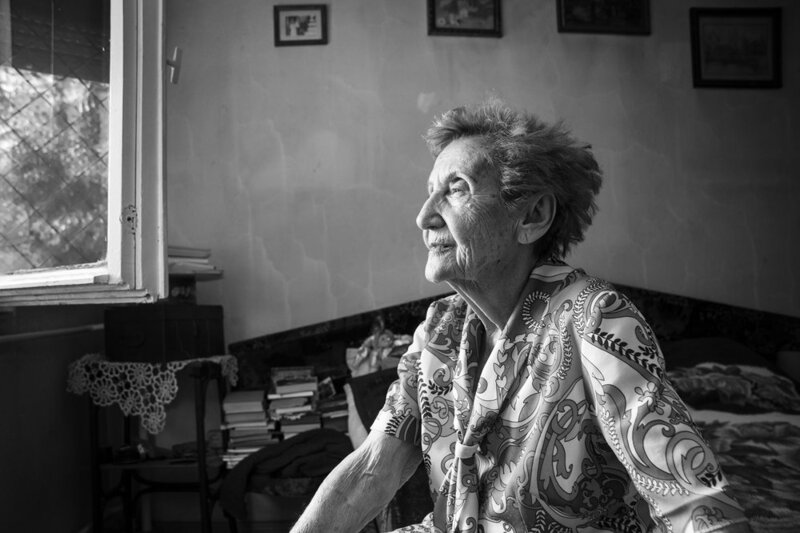 But I wanted to go back home and try to find my family.” Head shaved and clothes tattered, Gabriela Bóné made the long trip back to Transylvania with two thousand other survivors. Life would not be easy for the Jews returning to their homes from across Europe after the war. 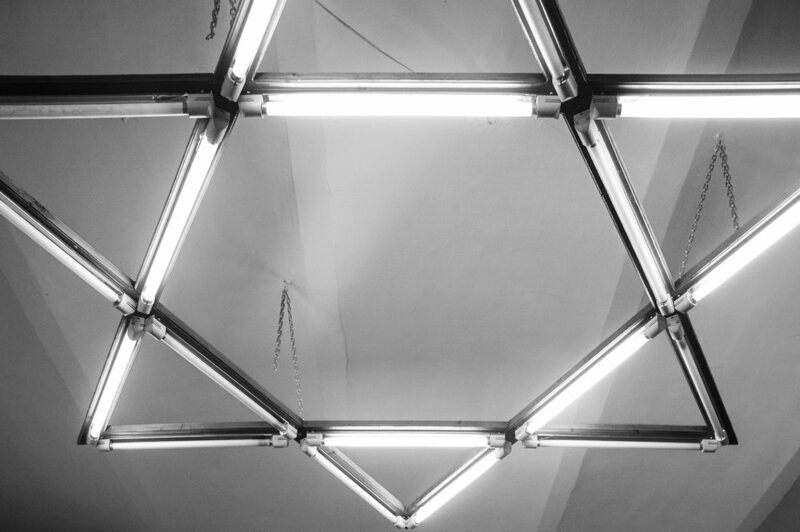 After abandoning its allegiances to the Nazis when it became apparent that the retreating German army could not slow the advancing Soviet forces, Romania joined the allies and would secure the Transylvanian territory after the war..
Seventy years later, under the Star-of-David-shaped fluorescent lights in the meeting hall of the community center, Iudit Varadi plays a game of dominoes with some of the elder community members. Varadi also survived Auschwitz. “My brother and mother died in the camps.” She says. “Altogether, I lost around eighty members of my extended family in the Holocaust, so when I returned home I was alone. I had to start my life all over.” Varadi had survived the horrors of fascism, and was drawn to the ideals of equality found in communism. At the height of communism in Romania, Nicolae Ceausescu had ordered the destruction of historic architectural masterpieces all across the country. In their places would be constructed massive concrete high-rise apartments, or blocks, as a symbol of Romania's nationalism and strength. Many of these imposing blocks were built around the local synagogues, effectively hiding them from sight. The goal of the regime was to bring about international respect and power through nationalistic unity, and this could be achieved by stamping out individuality in the form of ethnic, political and religious diversity. Unlike the rest of the city's crumbling facades, the small Jewish community in Oradea slowly began rebuilding during the safety provided by communism. For the most part, Jews were not allowed to be openly discriminated against under communism. The Jewish Community Center of Oradea would add a kindergarten and even assistance programs for its elderly members. However, economic instability throughout Romania began to take its toll. Many of the Jewish families took advantage of a few small windows of opportunity to leave Romania for the promise of a better life abroad in Israel, Canada, and the United States. 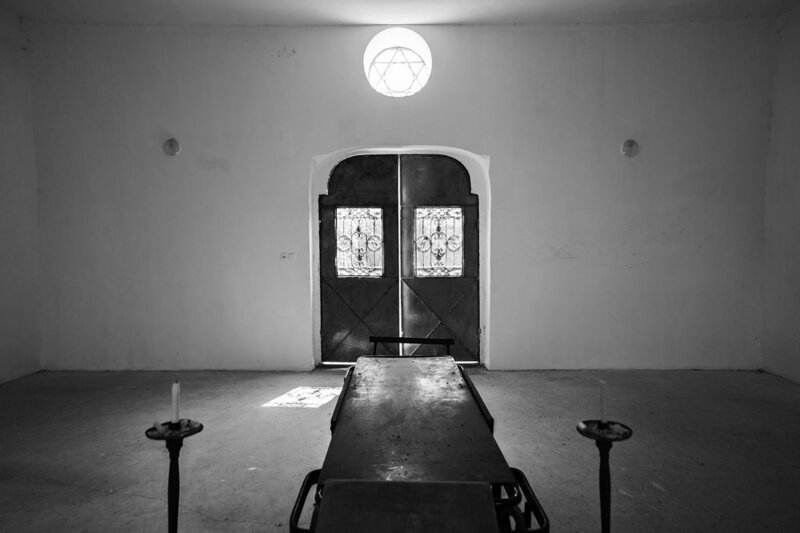 Communism fell in Romania in 1989, and by then most of the Oradea’s over twenty synagogues had been destroyed. The ones that had survived are crumbling and in need major repairs. Ironically, much of Oradea’s historic city center, which was in large part designed by Jewish architects, had been spared from destruction by the unflattering, communist-looking facades that had covered them, but the city’s largest synagogue, the one-thousand-seat Zion Neologic Synagogue, had been left abandoned to the elements. Many of these small communities ensure their future through preserving their history. 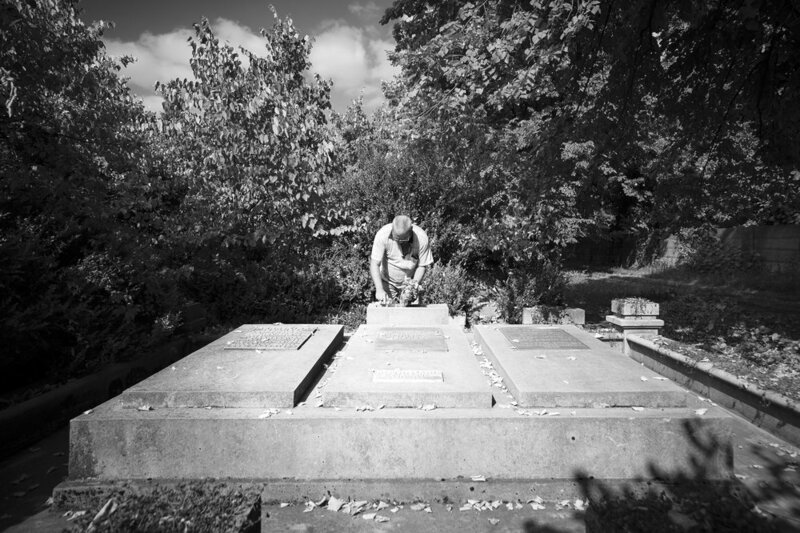 Cities across Europe have built memorials to the victims of the Holocaust. To date, however, Oradea has few reminders of either the tragedies of the Holocaust or the historical legacy of its Jewish community. Since the beginning of communism in 1947, Romania’s public school system has offered limited, if any, space in its curriculum dedicated to educating students on the role the country played in the Holocaust, or of the major contributions Jews have made to its culture to society. Much of this lack in education has stemmed from the notion that cities such as Oradea were under foreign control during the Second World War, hence nullifying the responsibility of the Romanian government to establish more comprehensive memorials or adding local Jewish history to the standard curriculum. Back in his smoke filled office on the second floor of the Jewish Community Center in Oradea, Mr. Koppelmann’s days are filled with meetings and phone calls as he works diligently to provide for the needs of the community members. Commanding attention comes naturally to him. He lived through the aftermath of a world war that saw two out of three European Jews exterminated, therefore his candor could be misinterpreted if one did not understand the burden he bears. Seventy years after the liberation of Auschwitz, the small Jewish community of Oradea continues to fight for its existence. And as their president, Koppelmann has dedicated his life to ensuring their continued presence in a city from which so many perished. 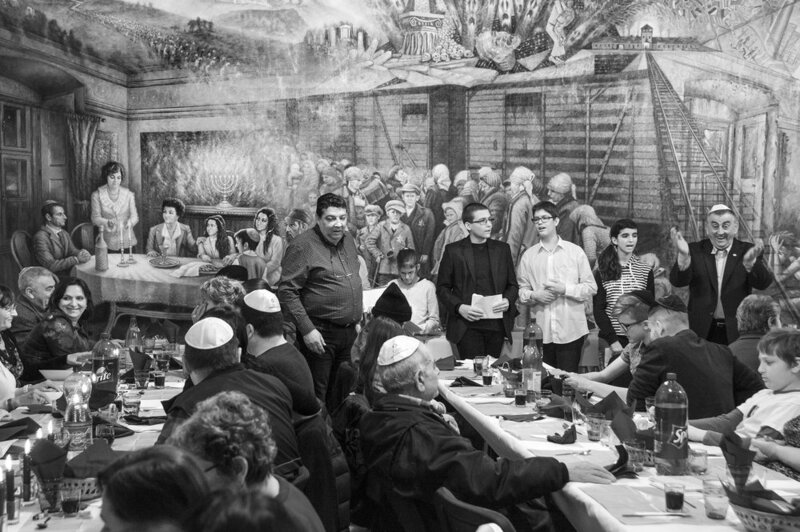 With the reality of an uncertain future, the members of Oradea’s Jewish community have determined to endure. “I believe the community has a future,” says Paul Spitzer, a community member. “It's like a branch that has been broken, but the seed has survived." 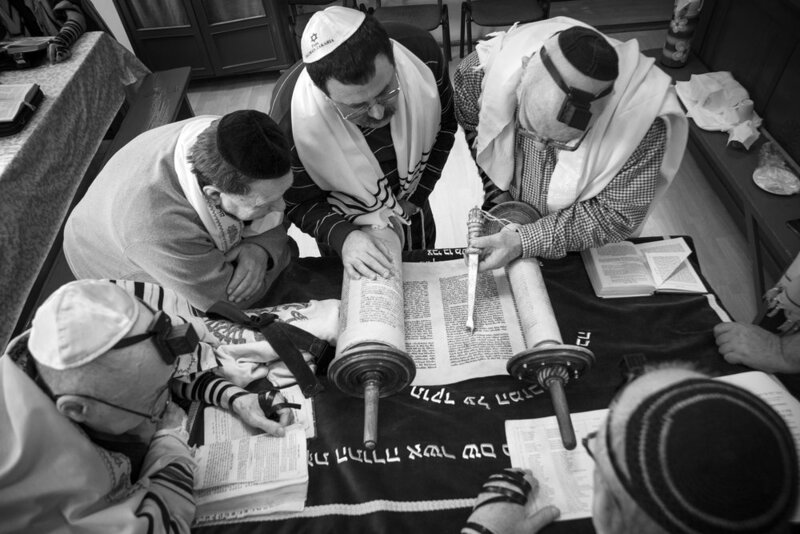 The small Jewish community of Oradea, Romania looks into their uncertain future with the resolution that they will not only outlast the hatred that once tried to erase their history, but they will overcome it with life. *Since the publication of this story, two survivors from the documentary, Iudit Varadi and Zakaria Salman, have passed away. The documentary is dedicated to committing their stories, as well as those of the tens of thousands of Jews from Oradea whose lives were cut short during the Holocaust, to our eternal memory.